The twelve papers in this third volume of the research program for the Romanow Commission offer a detailed analysis of the governance of health care in Canada from the perspective of constitutionalism, intergovernmental relations, and societal context. In the first section, the authors deal with the formal division of powers regarding health care as outlined in the Canadian constitution and the Charter of Rights and Freedoms. The second section outlines the strengths and weaknesses of the intergovernmental governance of health care. Finally, the third section focuses on governance of health care outside of the governmental sphere. 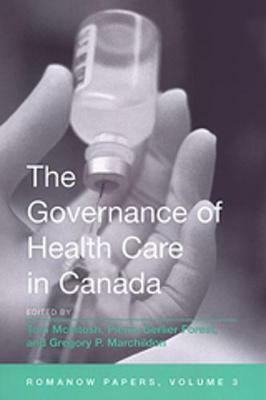 The theme that resonates throughout the contributions - and which is in itself a call for deeper analysis - is that health care governance has become locked in a cycle of mutual recrimination, blame assigning, and blame avoidance from the federal and provincial levels right down to the level of the individual citizen.